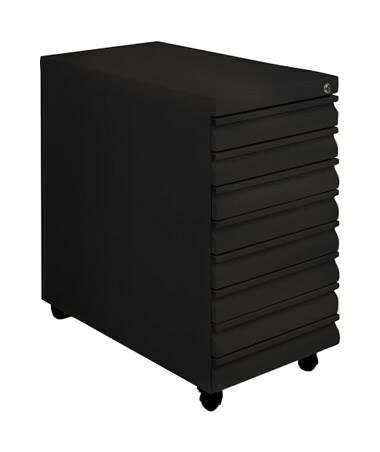 The Mayline Mobile B-Size Eight-Drawer File is a streamlined portable filing cabinet is a steel file that can store up to 2,500 sheets. 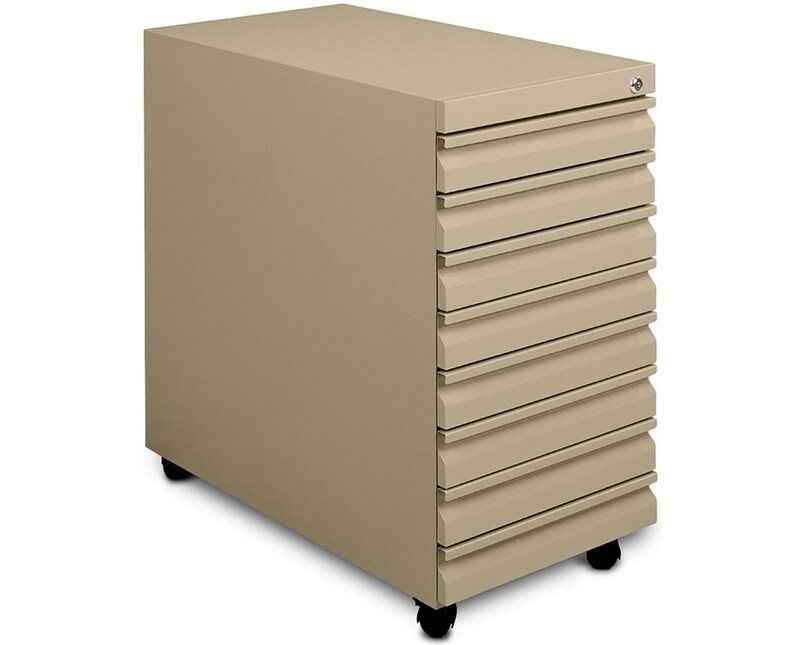 This 109-pound drawer file comes with an all-steel construction that comes four casters - two locking and two non-locking. Plus, a gang lock is included. 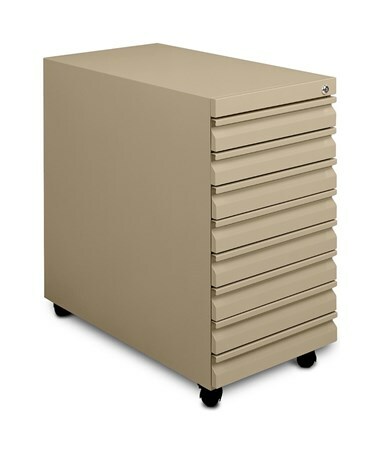 Plus, it provides secure, flexible, on-the-go storage for 11 x 17-inch drawings and artwork. The Mayline B-size file has an overall dimension of 27-3/4 x 15-1/4 x 27-1/8 inches and an inside dimension of 23-1/2 x 12-3/4 x 1-3/4 inches. It features recessed drawer handles that give this paper cart a smooth modern look. Also, it comes with four swiveling wheels that the user can push or bring the file anywhere.